Pardon the pun that was just too hard not to make – my sincerest of apologies if you missed it, too. PC gamers are quite a passionate and sometimes eccentric bunch that loves to give some character to their rigs. From Alienware’s out of this world lights to HP’s new OMEN X gaming desktop, which you would hardly associate with a desktop, much less a gaming PC, when you look at it. That’s because not only is it in the shape of a cube, it is also set up to stand on one of its corners, not on one of its flat faces. We’ve seen our fair share of cube-shaped desktop PCs, but most of those are rather plain compared to the HP OMEN X. In addition to the glaring red markings on its ebony chassis, its default orientation will undoubtedly make it the center of attraction, at least for fresh eyes. 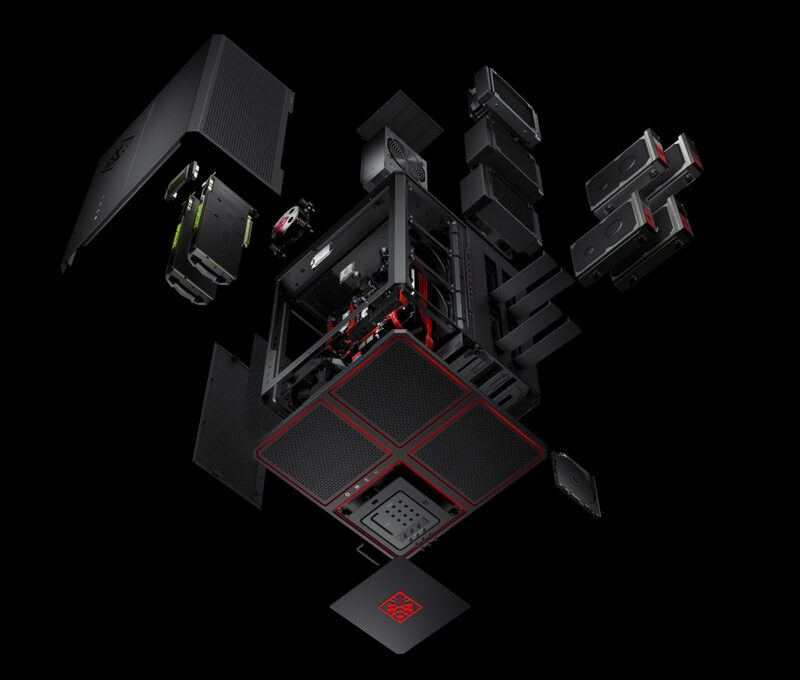 But lest you think the OMEN X is just about looks, the PC is veritably a gaming computer. Powered by a sixth gen Intel Core i5 or i7, the box is ready to hold up to two NVIDIA GeForce GTX 1080’s or two AMD Radeon R9 Fury X’s, making it ready for 4K gaming as well as VR experiences. The cube also boasts of a “revolutionary” thermal management thanks to its tri-chamber design and tool-less access to its internal parts, allowing for painless customization. The HP OMEN X will be available at key markets (read: US retailers) starting October 16 and will start at R28 000 At HP.com, however, it will start sooner, on August 17 to be precise, at R18 000 or even cheaper at R6 000 for an empty chassis. Local availability is yet to be confirmed. For those who want a more traditional, but also more mobile, gaming setup, HP is launching the HP OMEN 17 gaming laptop. While not as flamboyant as the OMEN X, this no-nonsense 17.3-inch computer has enough muscle to power VR applications and games and 4K output wherever you go. Provided you have the needed peripherals, of course.